Dr. Michael Bauer provides quality chiropractic care to patients in Bangor, PA. Whether you're searching for effective pain relief or a way to boost whole body wellness, Bangor Chiropractic can help. Call our office at 610-588-6199 for an appointment today! 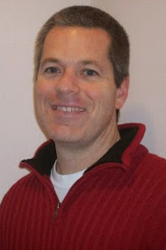 Dr. Michael T. Bauer is the founder and director of Bangor Chiropractic Inc. Since 1999, Dr. Bauer provides specific, scientific based chiropractic care to his friends and neighbors in the Slate Belt region of Northeastern , Pennsylvania. He combines his knowledge of nutrition, anatomy and the human form to provide the care necessary to enable his patients to gain the most out of their life. Dr. Bauer has taken on the mission to inspire and educate the families that utilize his services about the benefits of natural living and human potential.